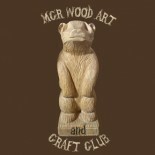 Manchester Wood Art and Craft Club has continued to cajole crafty creations from it’s members. Amidst musings of philosophy, politics and religion (along with less metaphysical fayre) beautiful and original artworks have been birthed to the waiting world in a humble, yet mostly adequate annexe in sunny Moss Side. This entry was posted on June 10, 2013 by mcrwacc in Uncategorized, wood carving and tagged adult learning, art and craft, club, craft club, drawing, life long learning, manchester, night class, wood carving.